Sir J.M. 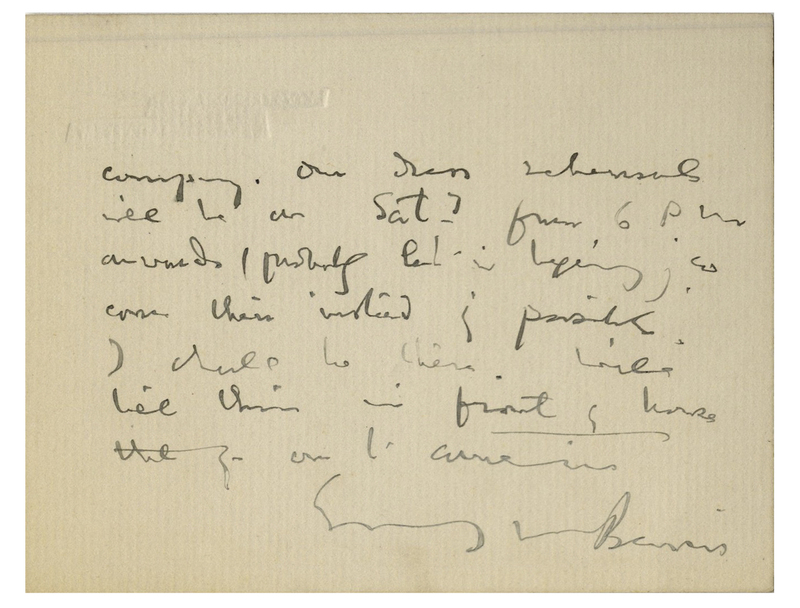 Barrie autograph letter signed, referencing his classic work, ''Peter Pan''. 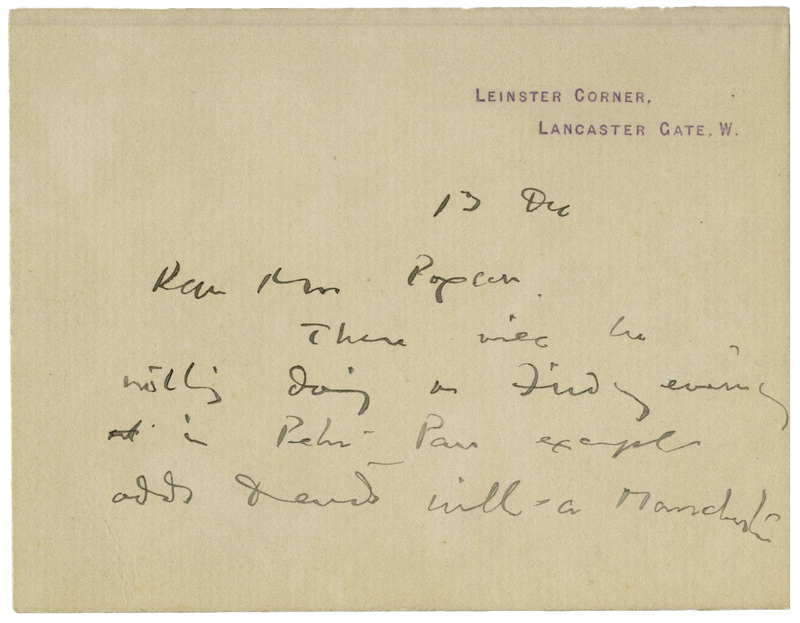 Composed on Barrie's personal note card, letter dated 13 December (no year), reads, ''...There will be nothing doing on Friday evening in Peter Pan except odds & ends with a Manchester company. Our dress rehearsals will be on Saturday from 6pm onwards (probably late in beginning) so come there instead if possible. I shall be there. 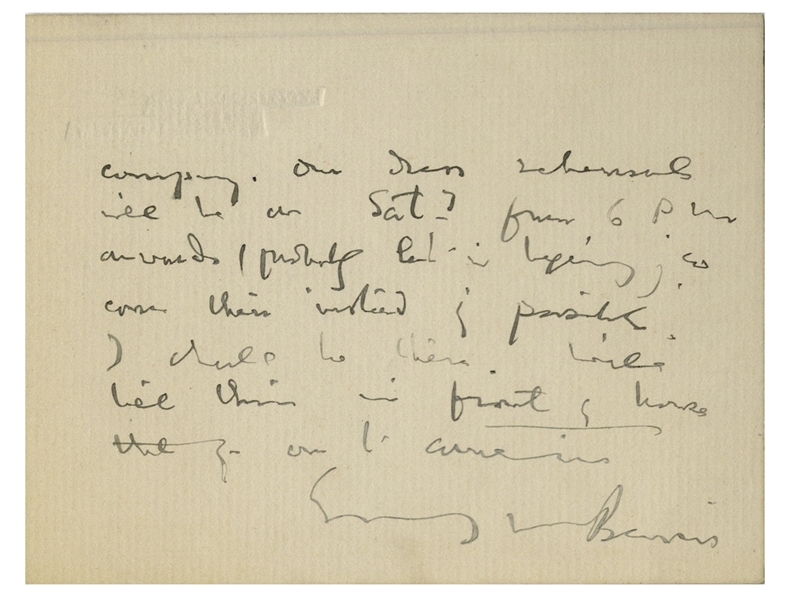 Will tell Chris in front of house that you are to come in...James M. Barrie''. 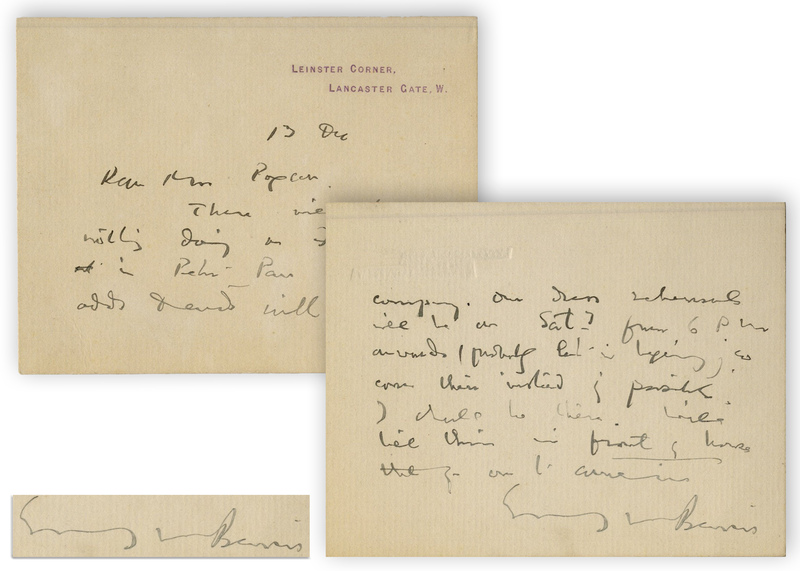 Written on front and verso of card measuring 4.5'' x 3.5''. Near fine condition. Auction closed on Thursday, November 8, 2018.